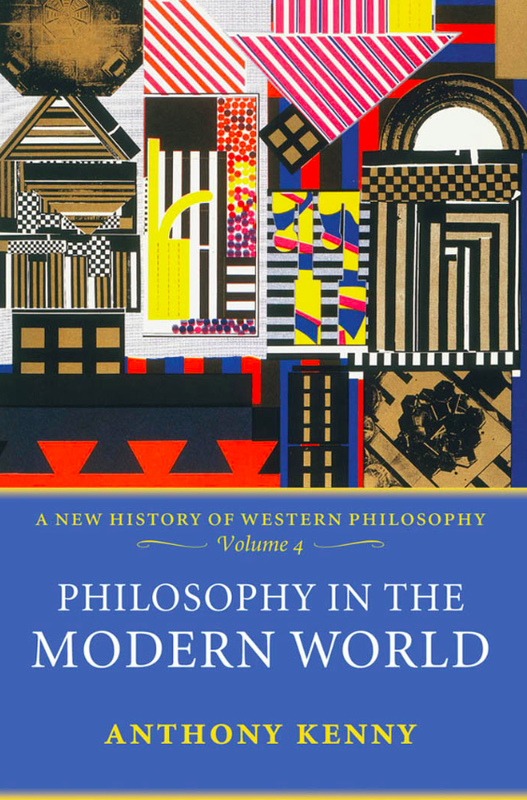 Philosophy in the Modern World, the fourth and the final volume of Anthony Kenny’s A History of Western Philosophy series, covers modern philosophy (from 1757 to 1975). In the first three chapters Kelly conducts a chronological survey of the intellectual environment: 1. Bentham to Nietzsche; 2. Pierce to Strawson; and 3. Freud to Derrida. In these chapters there is also a discussion of philosophers like Darwin, Marx, Kierkegaard, Husserl, Wittgenstein, Heidegger, and Sartre. Freud regarded himself as a scientist, but Kenny includes him in the book because he thinks that Freud has exercised heavy influence on most philosophers who are engaged in teaching philosophy of mind, ethics, or philosophy of religion. However, for some reason, Kenny has left out the philosophers of postmodernism: Bergson, Foucault, Rorty and others. 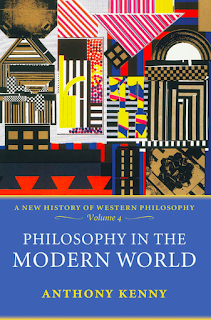 The nine chapters which follow the first three chapters are on particular themes of modern philosophy: 4. Logic; 5. Language; 6. Epistemology; 7. Metaphysics; 8. Philosophy of Mind; 9. Ethics; 10. Aesthetics; 11. Political Philosophy; and 12. God. While talking about the philosophical movements, Kenny does not describe the social and cultural environment in which the philosophers did their work. He confines himself to describing the personal histories and the general ideas of the philosophers. At times, he is opinionated and defends some points of view while rejecting others. To readers who have some kind of familiarity with this stretch of philosophy, the ground that Kenny covers will seem familiar. He does not offer any new kind of analysis on the philosophers and their philosophies, but he gives a good description of what is already known. I think that this book can serve as a good reference text for the students of philosophy.